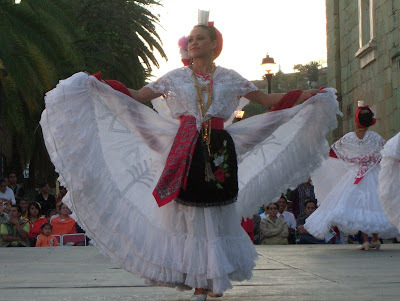 The week we were back in Oaxaca there was a dance festival going on - the "Muestra Internacional de Danza Oaxaca". They had free exhibitions every evening, and we stopped by most days to check it out. 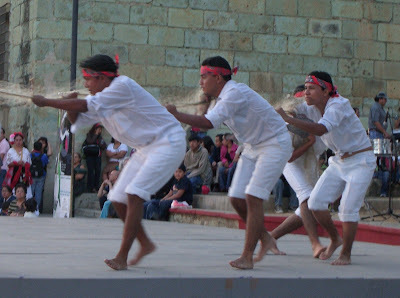 Above is a group from Veracruz doing a "fisherman's" dance - they are carrying a net between them. Also from Veracruz was a dance done by women balancing candles on their heads. 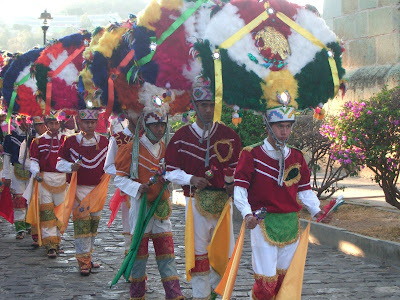 The last night of the festival was the "Monumenta Danza de la Pluma". Here you can see some of the "plumed" dancers. 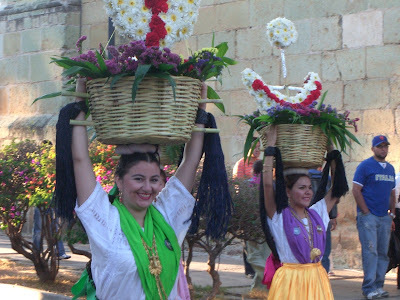 "Chinas Oaxaqueñas" carrying baskets of religious symbols made from fresh flowers also participated in the Danza de la Pluma. It isn't clear exactly where the use of the word "China" comes from, but you can read this wikipedia article about it. 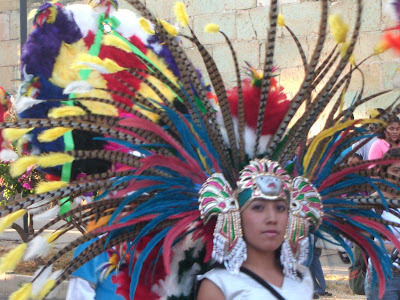 And finally another of the dancers in the Danza de la Pluma.